ODST received mixed reviews from both critics and gamers alike and many noted that the “Halo” factor was missing. 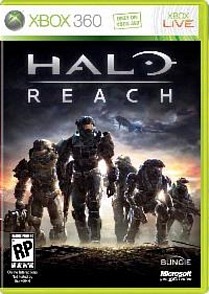 Halo Reach on the other hand is more than just a cash-in for Microsoft. Rather, Bungie has created an intuitive and enjoyable piece of the mythology to the series which is set well before the climatic battle between the humans and the Convenient. In this game, there is no “halo” world to journey to or apocalyptic battles on Earth, no my friends, this is where it all started, this is the prequel to the game that started it all. There is a slight problem though... apart from the lush graphics, the refined gameplay and immersion factor, one thing alienates new comers to this universe… the story. 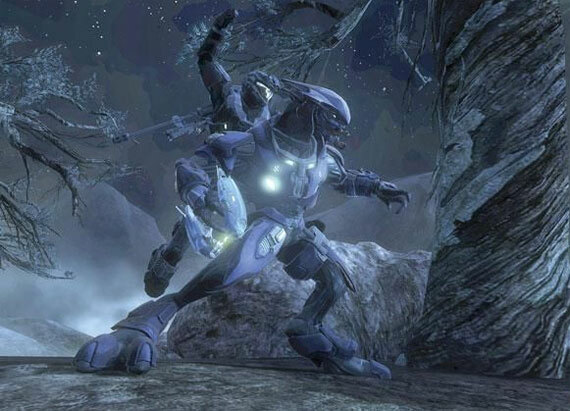 Thankfully I have played all the Halo games, however the story is a little lacking and from the get go, you are thrown into the deep end of the Halo universe as you attempt to save Reach from not just the Convenient but also some pesky terrorists which threaten the very fabric of order on this world. In a way, by being thrown into the deep end, it does help create a majestic experience and because you feel so small at the start, as you progress, pieces of the story comes together and this is where things begin to heat up. Even though fans of this series know how this story will eventuate, in the back of your mind, you believe your actions will prove otherwise and without spoiling things, it’s very interesting to see how the story pan out and conclude at the end of the Halo Reach. 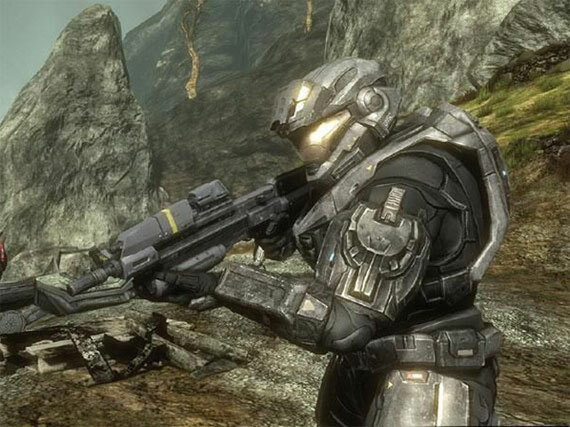 The first thing that you notice about Halo Reach is the amazing graphics from the detailed characters to the interactive 3D world from foliage to clouds and some amazing weather effects. But before jumping into this 3D world, you first need to create your character that includes gender, appearance and a variety of other tweaks. The customisation options allow you to create your character as opposed to a generic soldier or Spartan... in this game you're know Master Chef... in this game you can be whoever you want to be. The cool thing about customising your character is that they actually appear in the cinematics as well. From the main menu, you can also access the XBox Live features from statistics to friends and more importantly, online gaming. Thankfully Halo Reach contains a very good campaign mode so we’ll get to the multiplayer a little later on. The campaign mode can either be played solo or cooperative with up to four players and in the game itself (solo), you make up a new member of the Noble team. As “number 6” in the Noble team, you were sent to investigate a distress signal that they thought was caused by some insurgents but upon further investigation, it appears that the Covenant are leading a full blown invasion against this outer sector planet. The story is oozing with classic Halo anecdotes that thankfully only enhances the entire gaming experience. It's also cool that the story also goes into some detail with all your team member and not once did I find myself bored with the story. Having finished the campaign made in single-player, I must admit that the AI of your colleagues is rather impressive and at times, they actually do assist in how battles play out. Then again, when I played this in cooperative, we were an almost unstoppable team and this is where we had to increase the difficulty but on both counts, the game compliments the player or players well. Another cool aspect of the world that you play is that it is quite interactive from animals running around to civilians which adds to the overall strategy of your character. To spice things up even more, there is even space and air combat that nicely breaks up the FPS experience. In turn, the controls are well mapped on the controller and the first level acts as a mini-tutorial in order to fine tune the controls and teach newcomers the basics. However, as we attempted to repel these alien invaders, the locations started to become quite diverse as were the missions that ranged from escorts to mano-o-mano… err alien battles. With a healthy dose of weapons to be found along the way, including Covenant weapons and vehicles, I suddenly understood what Bungie had done. In essence, they had taken the player back to the original game from its excitement as you ventured into the unknown. It was a drive back down memories and speak of vehicles, they continue to be a highlight in the Halo universe and each vehicle handled quite well, especially for a first person shooter. As this was the last hurrah for the Halo universe (allegedly anyway), the developers even thank all the fans of the Halo games at the end of the title which is a nice nod of the hat to all the players in the world. 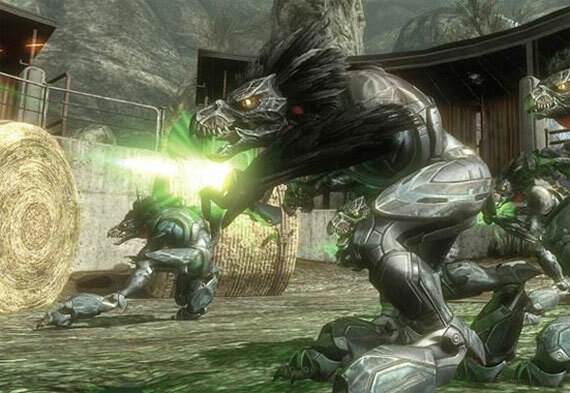 With lots of multiplayer options from team matches to traditional death makes and the like, Halo Reach is the penultimate multiplayer experience on the XBox 360 and hopefully one day, we can see an entire online Halo game... one can dream can't they? With lots of interesting maps and gameplay modes, playing online offers a whole wealth of new experiences for the player. You are also awarded credits in both the online and offline modes which can then be used to purchase additional “mods” to your Spartan’s armour in order to further customise your look and is a nice little reward system. You even get commendations and the like which are like trophies to be displayed to your XBox Live section and more incentive to do better. The excellent Forge customisation returns in Halo Reach as well as you can quite easily use this function of Halo to create your own maps and goals for player customisable maps. Once again, Halo Reach has quite a bit of replay value from online play, co-op campaign modes and creation of maps which will in our opinion easily cement this as the best Halo game since the original. Graphically, as mentioned in this review (quite a few times), it’s a very good looking game and really maximises the power of the XBox 360. From the first few moments, you immediately know that you are in for a treat and whether it’s the small touches or the bigger picture, it create a perfect world that is easily the best ever on this console. The weather effects are quite realistic as well and all the characters move with this human-like grace that makes becoming absorbed into this game a powerful experience. There were a few graphical glitches here and there but overall, the Q&A got it right the first time. 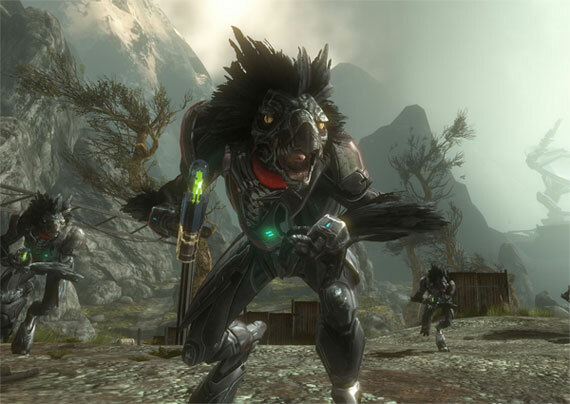 To compliment the graphics, Halo Reach contains a great orchestral soundtrack that changes with the locales and story. The voice acting is considerably toned down from ODST and is more realistic. The only thing I suggest for you do while playing this game is to pump up the volume on your surround sound to hear the meaty sounds of your guns or the lasers whiz pass your head, very cool indeed. Just like the sound of the new concussion rifle! If you’re a fan of the Halo series and were a little disappointed with ODST and a little apprehensive in purchasing this title, don’t be. Bungie have redeemed themselves by not only creating an engaging and coercive story but have brought the game back to its roots and tweaked the gameplay, both offline and online to make this the definitive game of the series. Great graphics, a Hollywood action movie soundtrack, Halo Reach is the must have game for first person shooter fans and if you have never played the Halo series, what better jumping point is this. The Nobles have arrived!